Care Instructions: Size Don't select as your Pant Size as dhoti size. Its not fit for all body structure. So you can measure the size bottom to top 40 inches In hip and measure the that place. Then only you can get correct Dhoti size. Praksam Cotton Men's Velcro pocket Blue Colour Single Dhoti. Praksam Cotton Men's Velcro pocket Black Colour Single Dhoti. 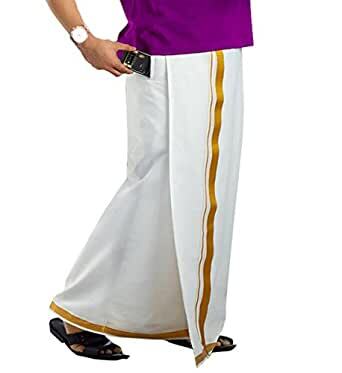 Praksam Cotton Men's Velcro pocket Kaavi Colour Single Dhoti. As an online dhoti brand, prakasam cotton is one of the renowned names. This cotton dhoti for men comes with a white gold border and a Velcro pocket. It has a single pocket on right side for cellphone and wallets. Your pant size would be the same as your dhoti size – it’s not fit for all body structure. So you can measure the size bottom to top 40 inches in hip. Then only you can get correct the dhoti having 4-6 loops for wear belt. The dhoti length is 42 inches. 5.0 out of 5 starsGreat and good fit.. I love Traditional stuff hence wear lot of Indian clothing compared to western stuff..
1. Its of excellent quality as in picture. 2. I am 6 feet and got perfect size...Fits me very perfectly..
4. You can put belt as well and facility is given..
4.0 out of 5 starsPerfect treat to wear. Fit was good,nice good ,was appreciated by everyone down south.really made my day. 4.0 out of 5 starsOverall a good quality. 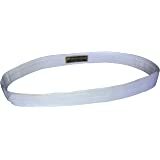 Measure your waist size just on your navel for correct waist size when you buy this. Overall a good quality. The idea of using welcrove is excellent but hardly 15 minutes of wearing the lungi itching and burning sensation starts where the welcrove is put. This may lead to multiple skin disorders. 3.0 out of 5 starsNo pocket. Only velcro. Quality is decent. Doesn't have a pocket as shown in the images.